The SyncroPatch 96 allows continues recording during the application of compounds from the intracellular side. Here, TRPV1 channels were activated by the internal application of capsaicin. Cells were kindly supplied by Cellular Dynamics. Inhibition of NaV1.5 currents in stem cell-derived cardiomyocytes (iCells) by lidocaine. Lidocaine concentrations: 6 µM, 62 µM and 620 µM. 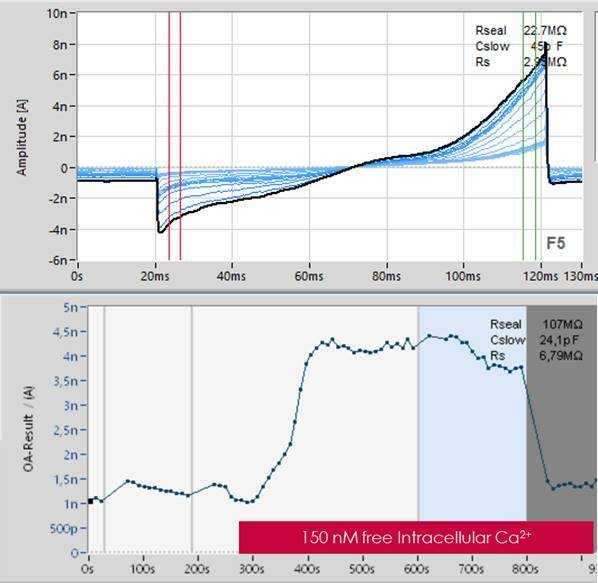 The obatined IC50 -value was 14 µM. The SyncroPatch 96 supports internal perfusion allowing internal administration of compounds, second messengers and metabolites. 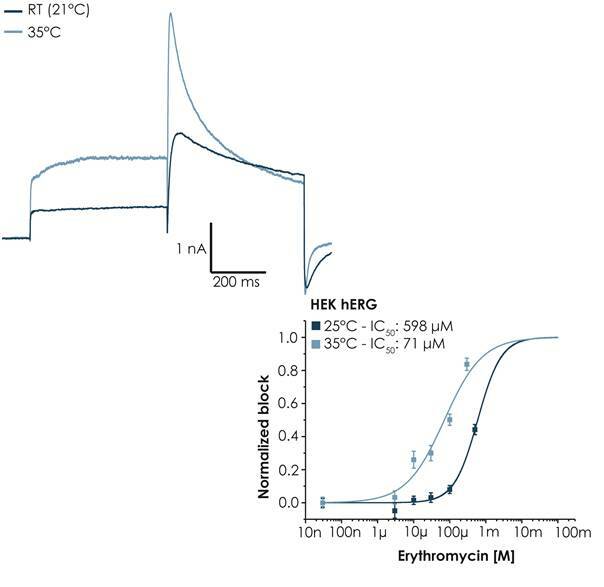 Here, KV1.3 currents, endogenously expressed in Jurkat cells, were blocked by the internal administration of Cs+ followed by washout with Cs+-free internal solution. 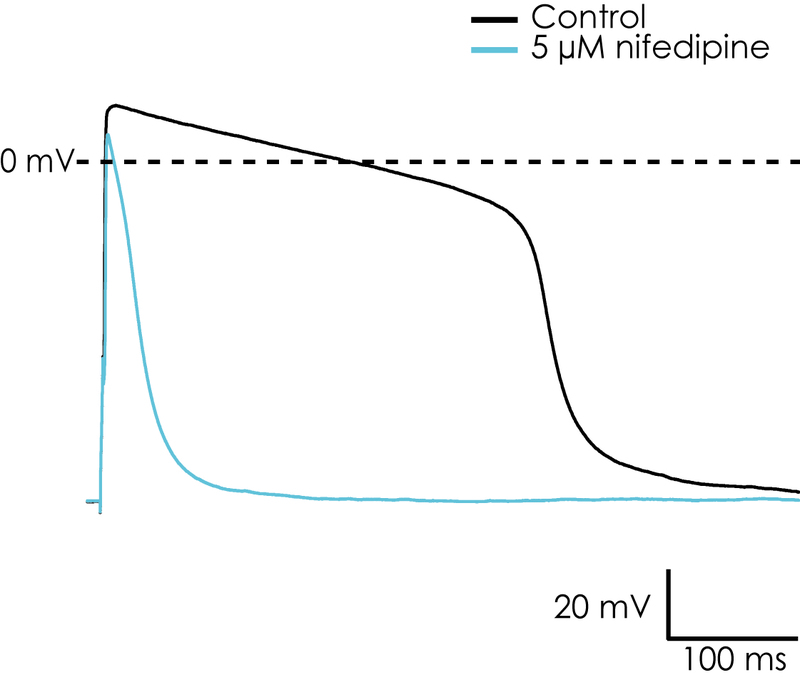 Using the SyncroPatch 96 CHO cells expressing TRPV1 were subjected to a voltage ramp (-100 mV to +100 mV) in the presence and absence (control) of 2 μM capsaicin. As shown in the exemplar traces, inward and outward currents increase upon capsaicin addition. Screenshots of the PatchControl 384 software showing KV7.1/KCNE (KVLQT/minK) current traces in response to a voltage step protocol and the corresponing current-voltage relationship plot. Using the perforated patch methodology (Escin) in combination with multi-hole chips (4 holes per well), stably transfected cells were measured on the SyncroPatch 384PE. The IC50 value of Chromanol 293B was determined as 3.82 µM. The success rate of valuable data for the analysis was 100%. 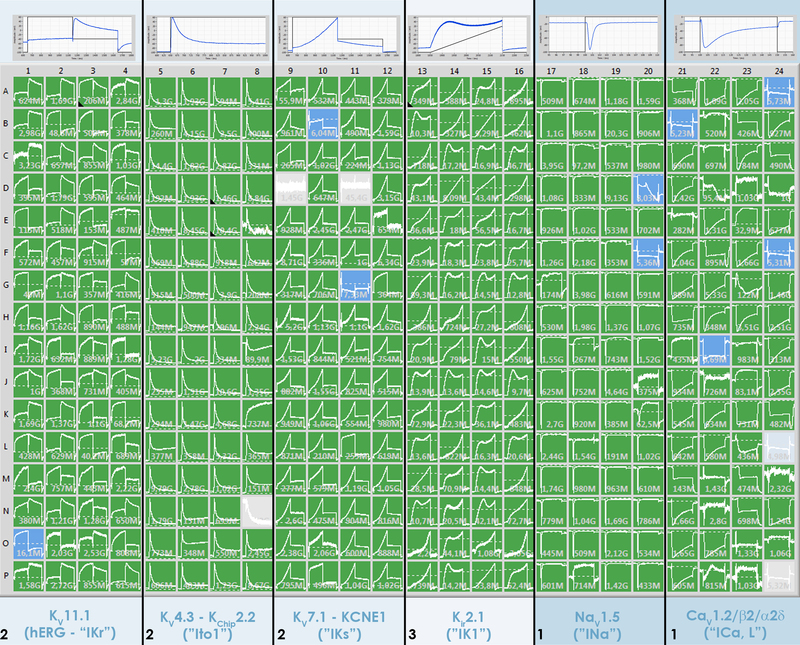 Screenshots of the PatchControl 384 software showing a dose-response curve of 4-AP on KV1.5 stably transfected cells. Measured on the SyncroPatch 384PE using multi-hole chips (4 holes per well), the success rate of valuable data for the analysis was 100%. 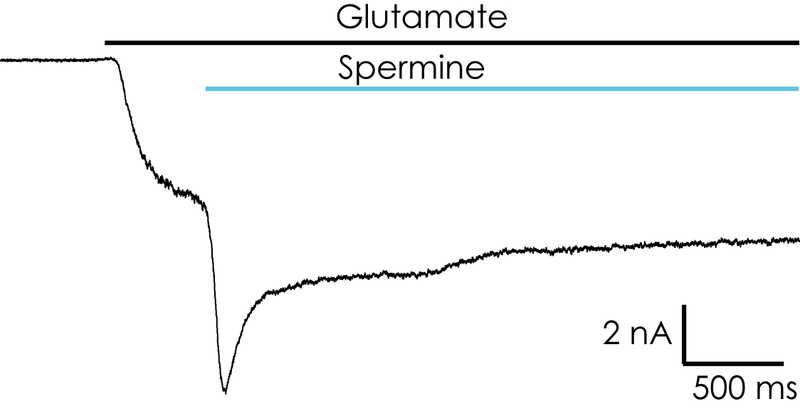 The IC50 value of 160 µM measured on the SyncroPatch 384PE corresponds well to literature (IC50 4-AP: 270 µM; Gutman et al., Pharmacological Reviews 57: 473-508, 2005). CaV1.3 - "Characterization of CaV1.3 on Nanion's SyncroPatch 96"
Pan J.Q., Baez-Nieto D., Allen A., Wang HR., Cottrell J.R.
Rotordam G.M., Fermo E., Becker N., Barcellini W., Brüggemann A., Fertig N., Egée S., Rapedius M., Bianchi P., Kaestner L.
Chiang E.Y., Li T., Jeet S., Peng I., Zhang J., Lee W. P., DeVoss J., Caplazi P., Chen J., Warming S., Hackos D.H., Mukund S., Koth C.M., Grogan J.L.